North America may be full of bears, but it is rare for people ever to get close enough to observe them in their natural environment. So this video, filmed by a hidden camera in a Canadian park, is a unique opportunity to see how wildlife behave when they are not in the presence of humans. 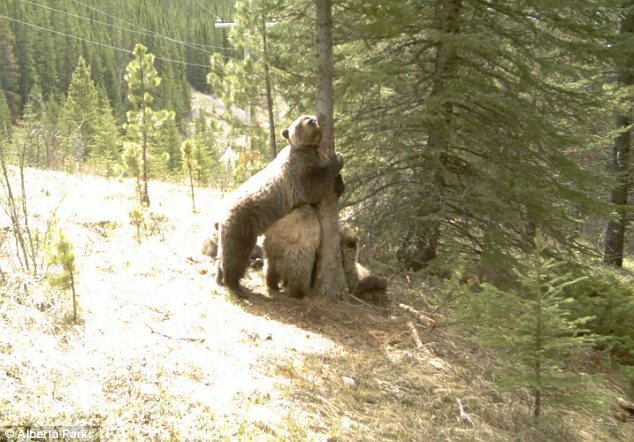 And the result may be surprising - because the bears appear to be pole-dancing around a tree in the middle of the woods. The extraordinary video was filmed in Kananaskis Country, a large expanse of national park in the province of Alberta. Part of it was made with a normal camera, and part with a night-vision lens, so that it captures wildlife at play 24 hours a day. 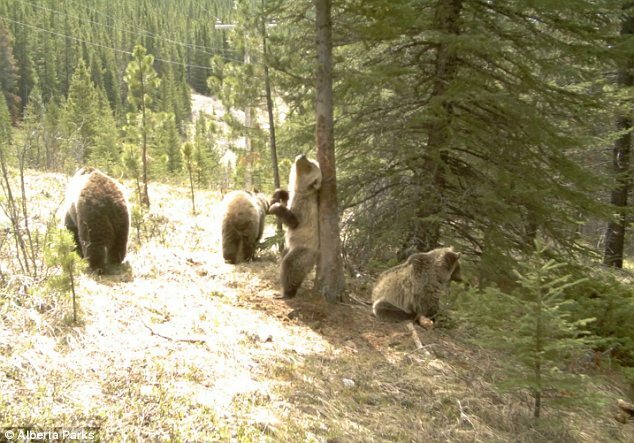 Over a number of days in May and June this year, a variety of animals including deer and black bears approached the tree which the camera was trained on. 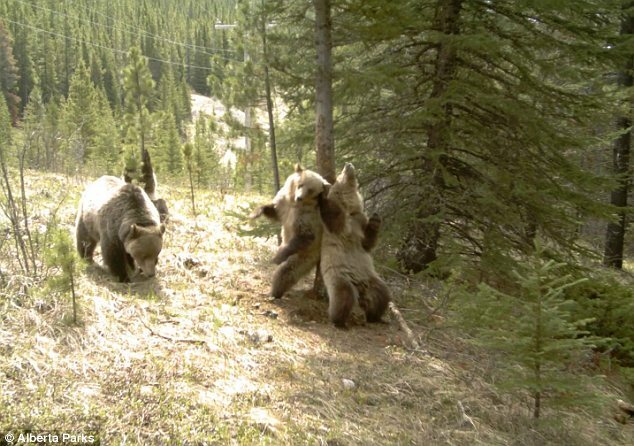 At one point, as many as four bears were vying to grab a spot on the tree - and their vigorous motion made it look as though they were pole-dancing. The video of still images edited together and set to an upbeat soundtrack by Ewan Dobson was uploaded to YouTube by Alberta parks offficials. 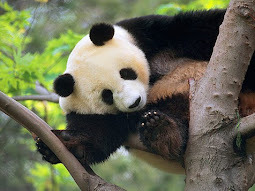 It has garnered more than 200,000 views in less than a week as viewers flocked to enjoy the wild antics.